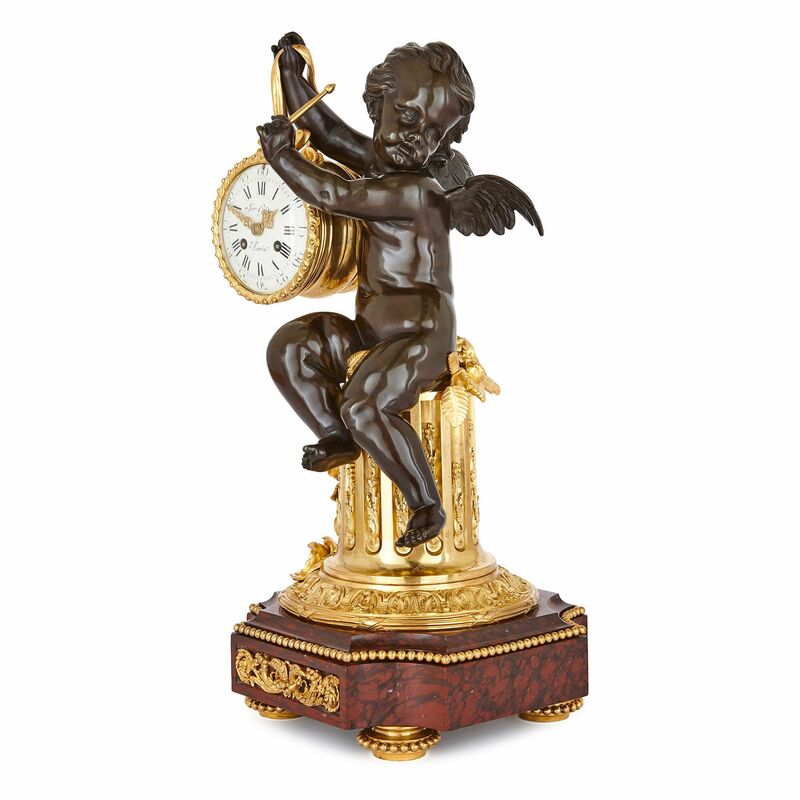 This stunning mantel clock is an artful piece of design, modelled as a beautifully-patinated bronze cherub suspending the clock dial from a ribbon. 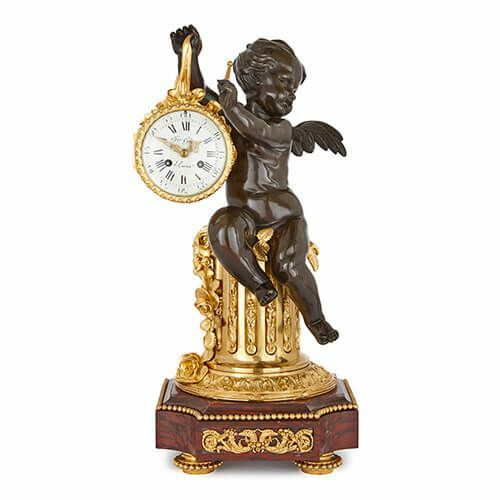 The rare, unusual design of this mantel clock makes it a truly special antique piece: the technical skill involved in casting and gilding such a design is masterful. 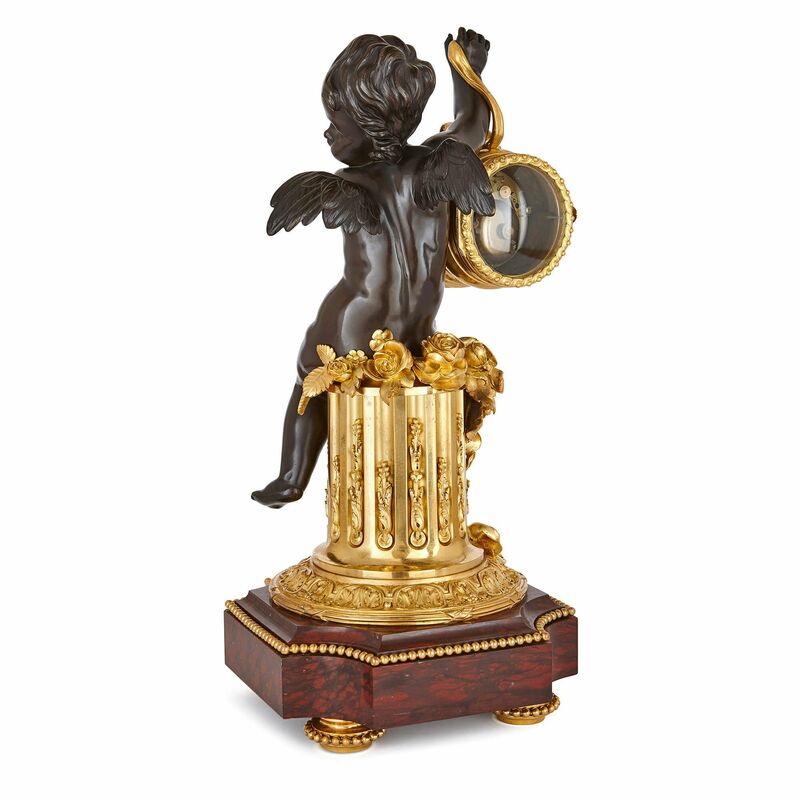 The piece is modelled as a full length patinated bronze winged putto holding aloft a drum-form ormolu clock case on an ormolu pedestal. 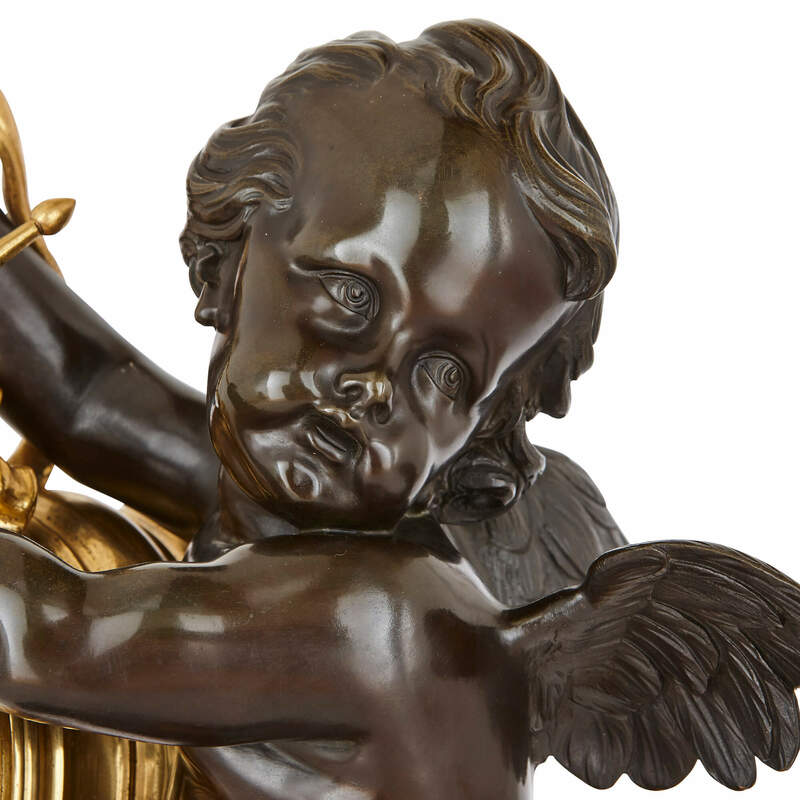 The putto holds a drum stick, as if about to strike the drum. The circular white enamel clock dial contains Roman numerals as well as the signature 'Jqus Gudin / A Paris', the retailer of this piece. 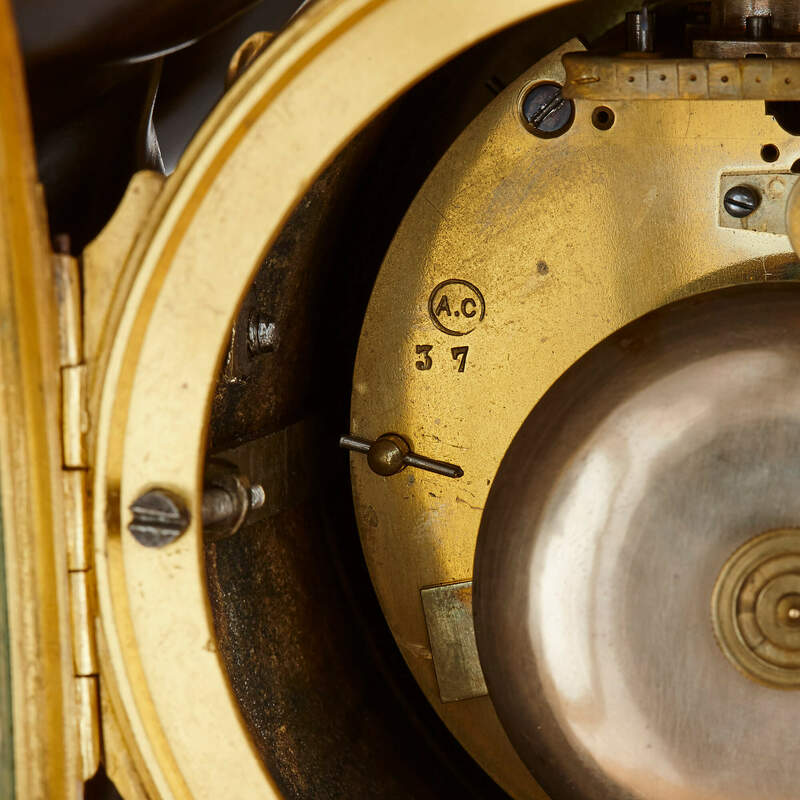 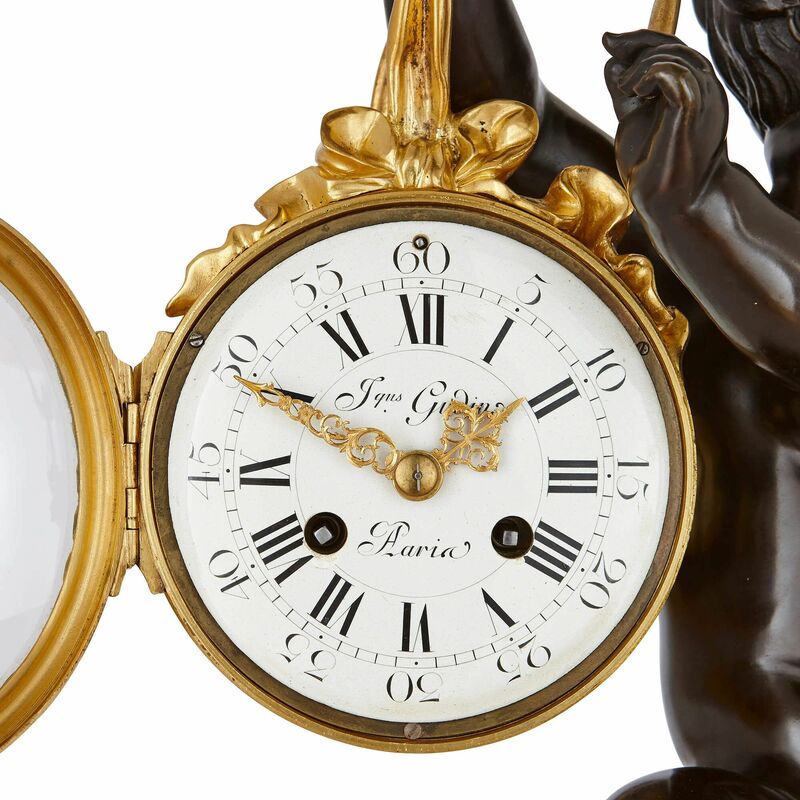 Jacques Gudin (died 1789) was a prestigious watchmaker of the 18th Century, and the firm continued to make and sell clocks throughout much of the 19th Century. 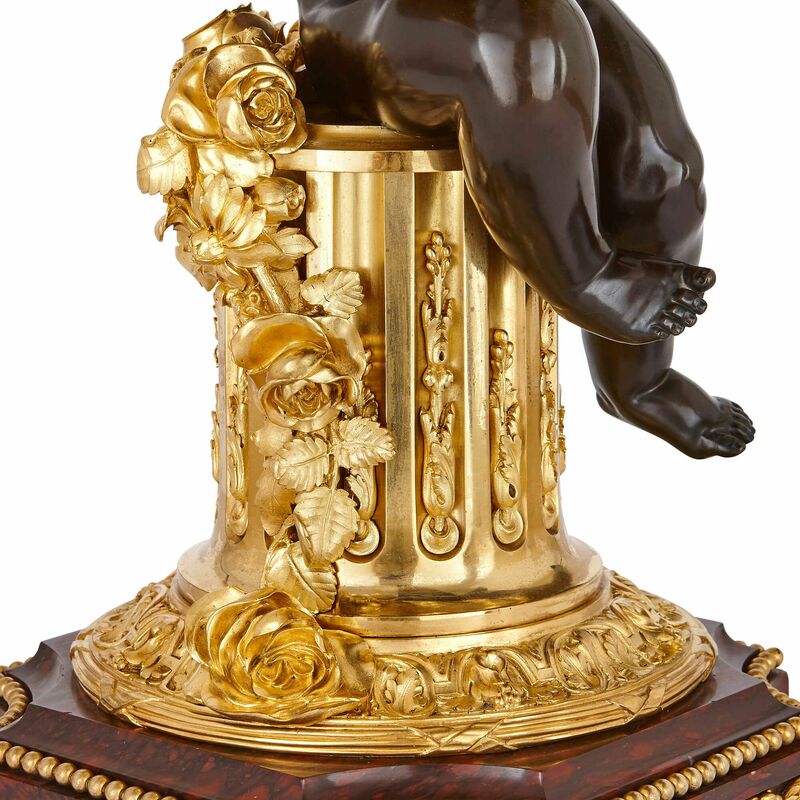 The ormolu pedestal, on which the putto is shown sitting, is decorated with trailing flowers, vines and foliage, and is mounted on a square shaped red marble base which is mounted with further ormolu decorations.